JEE Main is a national level exam, which is a gateway to get admissions in undergraduate engineering courses provided by top colleges of the country. While most students are busy with pre-board preparation, the JEE preparation should be down simultaneously. If you are still thinking about how you should divide your preparation on a monthly basis to score better marks in this exam and still making your monthly study plan to avoid that last-minute stress and anxiety, don’t fret and refer to the tips enlisted below to ace the JEE Main . 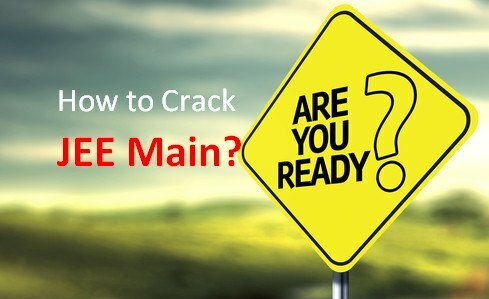 For JEE , first a student must qualify the JEE (Main) exam with a good score. To get the goal you want in life, you need motivation. The bigger your dream, the bigger is your success. Motivation creates commitment, which in turn creates zeal to just make it happen. If you are appearing for JEE Main this year, then before anything else, have faith in yourself and your hard work. Be positive and let your mind understand that if you can dream it, then you can definitely achieve it with your sincere efforts. Know exactly where you stand and what do you need to get through this exam. Ask yourself “Am I ready?” Once you are mentally and physically prepared will surely bring better results. Having unnecessary tension will do no good. The students should properly plan their time. Time management is a critical factor in preparation of any exam so that one can get through it. Student should develop habit of writing as many as possible tests. Make a good and almost fixed routine for the last one month in which you sleep at right time in night and wake up at say 6 am. You must develop a habit of sitting for 4-6 hours continuously with a break of 30 minutes. This routine should be preferably between 9 am to 3.30 pm. The time duration of the exam is three hours and with multiple choice questions and negative marking, managing time and speed is very important, which will come over time and with practice.Thoroughly read NCERT textbook and solve the back exercises rigorously. In addition to that for JEE Main pay due attention to second half of the syllabus in class 11. As such, the entire syllabus is important. But there are some topics whose concepts are omnipresent in the rest of the syllabus. It is a must to understand and practice these topics as a good proficiency in these topics will make it easier to understand remaining chapters. The major strategy is to make your base strong with and solve more of practical problems for practicing. It is not possible to find a text which can be called as sufficient enough that just a reading may enable a student to solve problems. In last two-three days after board exam, practice as many multiple-choice questions as you can. 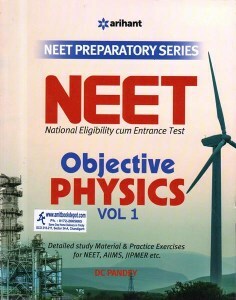 Students should also concentrate on the previous years question papers of JEE Main. Try to solve previous years question papers on time it will help you to manage your time in the examination as well as strengthen their subjects also help them analyse their weak area.By solving these papers, students will get an idea of exam pattern, question weight-age. Also look for the best study material available in the market. One needs to practice at least one good question bank designed for JEE. Taking up online mock tests before the final exam will be helpful for students to become well-acquainted with the online system and learn to manage time. yourself after sincere preparation is equally important. So it is required to adopt the reverse process. Solve as many problems as possible and thus build and strengthen your concepts. Hence, it is clear that one need to go through the sample papers. Nowadays, experts/ teachers that have uploaded their videos online for JEE preparation. This will help clear your doubts. First of all, you have to make a study plan for your preparations. Before starting your preparations, Firstly, it is essential to understand the complete JEE syllabus and divide them equally as per your time so that every minor topic should get covered in your study plans. Every portion of the syllabus is imperative, but, there are certain topics which require special attention in every subject which form the basis of the entire subject and can serve your purpose of scoring well. These topics can be applied in all other chapters, and therefore, having a thorough understanding of them is important. It is necessary to understand and practice these topics as a good proficiency in these topics will make it easier to understand remaining chapters. Chemistry: Physical chemistry is quite scoring; numerical problems can come from this chapters can fetch you real good scores and hence all the units in it must be done carefully. Students tend to neglect Inorganic Chemistry but just a proper understanding of it can prove beneficial. Basic concepts of Organic chemistry and basic concepts of inorganic chemistry must be thoroughly prepared. Make a schedule of revision plan for inorganic chemistry so that you can go through it 4 – 5 times. Mathematics: Calculus forms a base for almost every part of Mathematics. Other important and scoring topics are determinants, sequences, permutation, and combination. In addition to this student must also have an in-depth understanding of topics like co-ordinate geometry, vectors and trigonometry. Three-dimensional geometry should be practiced to get that additional or compensating score. This time is the time to focus on your studies only, as all the other things can wait a little bit. Don’t let any distraction come in your way during JEE Main Preparation. You can always get back on social networks and friends, but this precious time should only be dedicated for studies. You have to practice hard to crack JEE Main but while preparing for your studies never ignore your health. Better health is the most important key for exam preparations. At the time of preparation do yoga and meditation, it will help you to calm your mind. Stay from the junk foods and heavy diet, be on a healthy and nutritious diet at the time of the preparations. It’s important to test your understandings and skills time to time. This makes sure that you are at right path and figures out your weak points . Solving previous year papers is the most important and required thing to do if you want to excel in JEE Main exam. Try to solve previous years question papers on time it will help you to manage your time in the examination. By solving these papers, students will get an idea of exam pattern, question weightage. Solving these model papers will give you an idea about how the actual entrance exam will be. Revise thoroughly and take breaks: Practice, practice and practice is what you need. There are no shortcuts to success. All you have to do is practice. Do not get complacent with your mock test results. Revise thoroughly and take short breaks at regular intervals, re-energize yourself and start again. We are sure you will come out with flying colors. Best of Luck.